Managing investment risk remains a fundamental challenge for institutional investors globally. In our annual Global RiskMonitor survey, we polled hundreds of investors around the world to gauge their views on risk, asset allocation, and macro environment concerns. 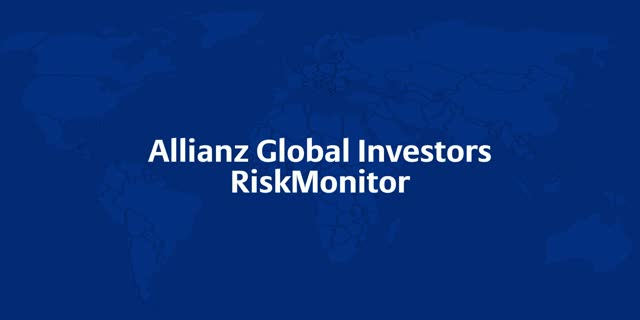 AllianzGI’s unique Grassroots℠ Research capability offers investment insights that are reality checked, through a specialized global network of researchers, reporters and field force investigators. High-tech advancements have accounted for 50% of global economic growth since 1998. Discover how Allianz can help you tap into this growth through cloud computing, mobile devices, and the Internet of Things. They say there are two sides to every story. The same is true with risk. Discover how Allianz Global Investors can help you view risk as not just a challenge, but an opportunity to potentially grow your portfolios. There are 326 quintillion gallons of water on the planet, but only .007% of it is safe for consumption. Luckily, there's a big opportunity to invest in methods that improve water quality, availability, and efficiency. To learn how you can make a big splash in clean water investing, visit us.allianzgi.com. Around the world, investors are sailing into uncharted waters. As you adjust course to combat headwinds and take advantage of opportunities, Allianz Global Investors can help with a steady hand on the wheel and the guidance you need for the journey ahead. Hall of Fame golfer and Masters champion Mark O’Meara is now our trusted partner and US brand ambassador. CEO Elizabeth Corley discusses the normalization of monetary policy in the United States, including when interest rates will rise, amid a backdrop of uneven, fragile global growth. CIO Equity US Scott Migliori says significantly lower energy costs and strong job growth are bolstering consumers, putting Main Street on more of an upswing than Wall Street. But be mindful of early inflationary pressures, particularly wages. With lower energy prices helping consumers, CIO Fixed Income US Doug Forsyth says non-energy high-yield issuers could benefit in unexpected ways. Falling prices for “Dr. Copper”—the world’s smartest economist—usually means bad news, says CIO NFJ Ben Fischer, but lower-for-longer Fed rates should help. Expect a stock-picker’s market to return and look to active managers to take advantage. Asia’s markets could suffer if Japan’s yen continues to weaken, says CIO Equity Asia Pacific Raymond Chan. Yet with high interest rates set to fall and reform on the agenda across the region, investors shouldn't overlook Asia. With deflation fears rising in Europe, policymakers are worried—but fear not, says CIO Equity Europe Neil Dwane. Investors should celebrate the lower oil, food and energy prices that support increased economic activity. Investors shouldn’t expect significant returns from stocks or bonds in 2015, says Global CIO Andreas Utermann, but central banks will stay accommodative enough to reflate their economies. US Investment Strategist Kristina Hooper tells Reuters that while the Fed’s transition to more conventional monetary policy in 2015 may be difficult, investors should still find opportunities in US stocks, especially in the technology sector. US Investment Strategist Kristina Hooper tells CNBC that the US economic recovery should continue to be very strong, with consumers making a comeback and companies spending more. Plan participants who focus too much on account balances may get into serious trouble if they make the transition from accumulation to income under unfavorable market conditions. Head of US Retirement Glenn Dial outlines how forming a transition-risk strategy can help financial advisors and plan sponsors combat this critical but often overlooked danger. Plus, learn why the DOL and SEC are laser-focused on QDIA diversification and minimizing risk for plan participants. Portfolio Manager Walter Price discusses how recent high-tech innovations—including social media, mobile connectivity and the shift to cloud computing—are changing the way we live and do business. NFJ, an Allianz Global Investors company, has a long tradition of buying stocks that are out of favor and using dividends to spot high-quality companies with strong balance sheets and to generate income. Portfolio managers Ben Fischer and Burns McKinney explain NFJ’s philosophy and process. Portfolio Manager Walter Price puts the concern over stretched tech-stock valuations in perspective: With lower prices, improving profits and higher earnings on the horizon, tech stocks could be set for a rebound. At Allianz Global Investors, we follow a two-word philosophy: Understand. Act. This is as powerful as it is succinct. It describes how we look at the world and how we behave. It signals our belief that with so much information available, the best way to gain an advantage is through understanding. To this, we add a commitment to taking action that capitalises on potential and drives performance.